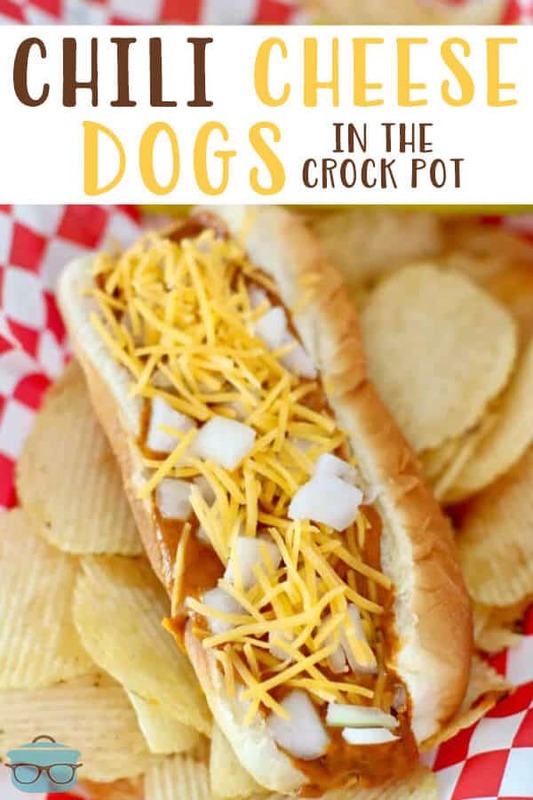 This recipe for Crock Pot Chili Cheese Dogs isn’t so much a recipe as it is an idea for a way of serving a yummy Memorial Day, 4th of July, Labor Day or backyard picnic. However you choose to top them is up to you. Sometimes I like a little cole slaw on top. Other times I want diced onions and some shredded cheese. But honestly, these are delicious, just as they are, straight outta the slow cooker into a bun! This recipe is also super affordable. It really is perfect to make for a crowd. Serve it up with some chips or French fries. I am using store- bought chili to keep this recipe easy to make. However, if you want to make it extra special, you could try making up a batch of my Homemade Southern Hot Dog Chili. 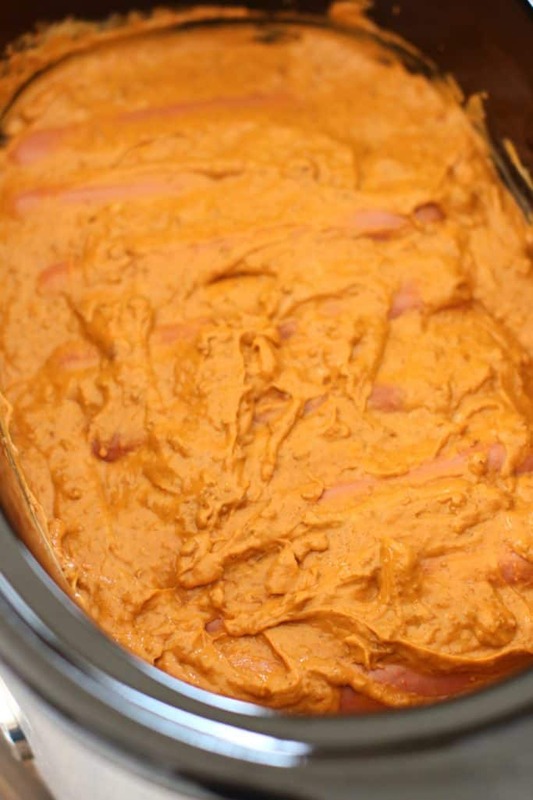 Also, the nacho cheese sauce has a little spicy kick to it. If you are sensitive to that, then you’ll just want to use a can of condensed cheddar cheese soup as a substitute. Cook’s Notes: If you don’t like (or can’t find nacho cheese sauce, just use a can of condensed cheddar cheese soup. Also, if you love beans in your hot dog chili, then use the chili with beans (by all means!) 😉 I prefer Wolf Brand chili for my hot dogs. Finally, this would be enough chili for more than 8 hot dogs. I just went with 8 since that is what you get in one package. 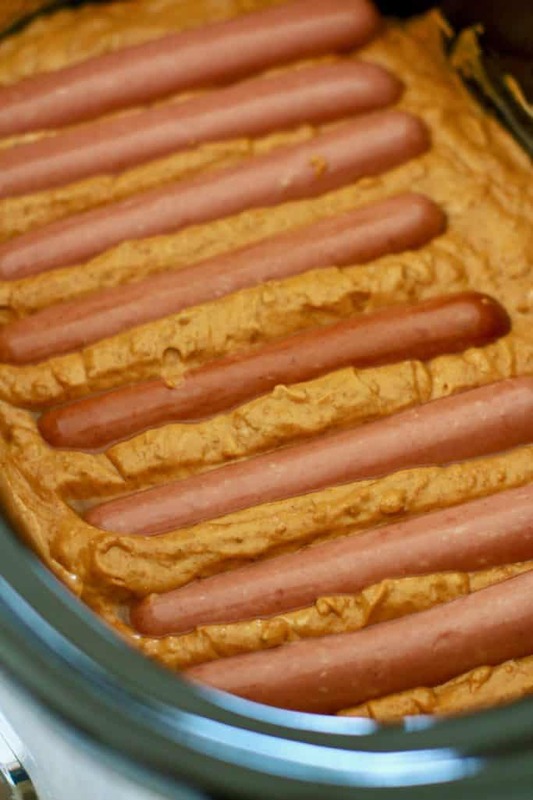 But realistically, you could add another 4 or 5 hot dogs to this recipe and have plenty. 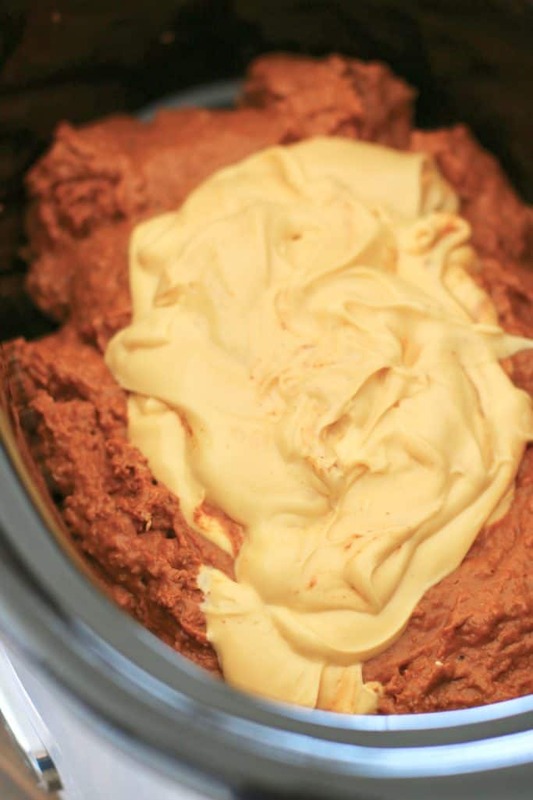 In a 5-quart slow cooker, combine chili and nacho cheese. Stir together well. Place hot dogs into the chili mixture. Make sure the chili mixture coats the hot dogs. Cover and cook on low for 2-4 hours. Then switch the slow cooker to the “keep warm” setting. Then, let everyone serve themselves. 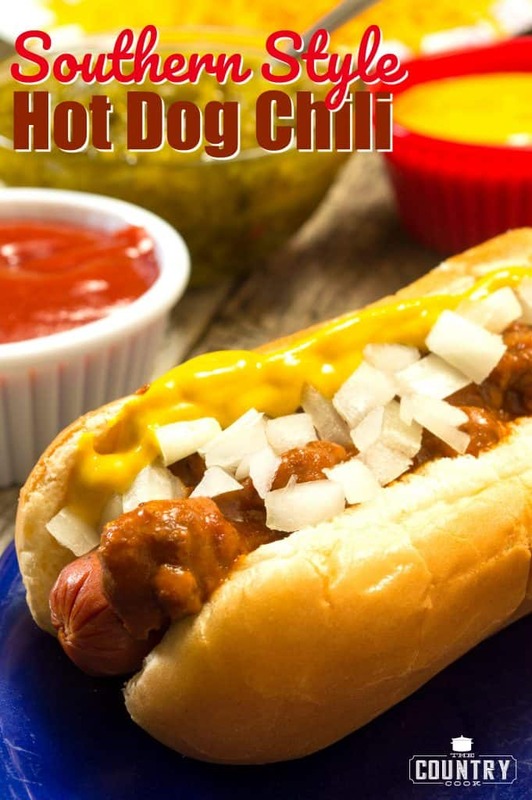 Top hot dogs with diced onions and extra cheese. Whatever your family and friends love! 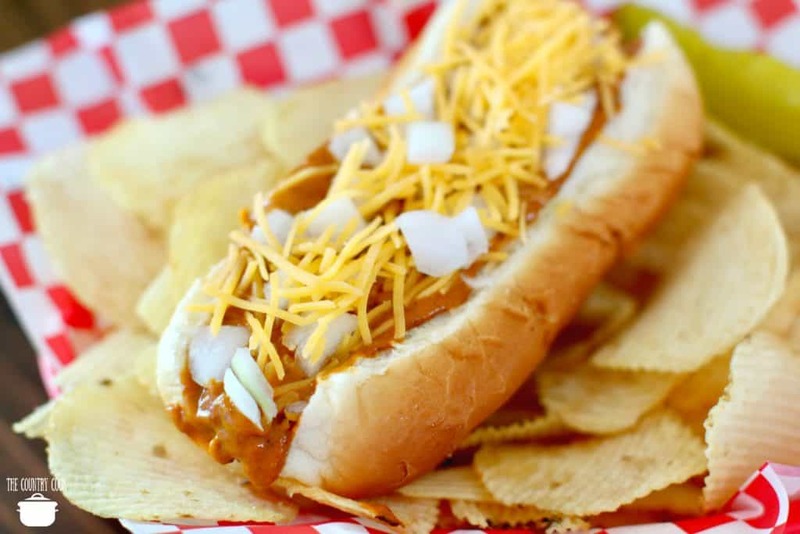 This recipe for Crock Pot Chili Cheese Dogs is so easy and delicious thanks to a mixture of store-bought chili, nacho cheese sauce and hot dogs. Cover and cook on low for 2-4 hours. 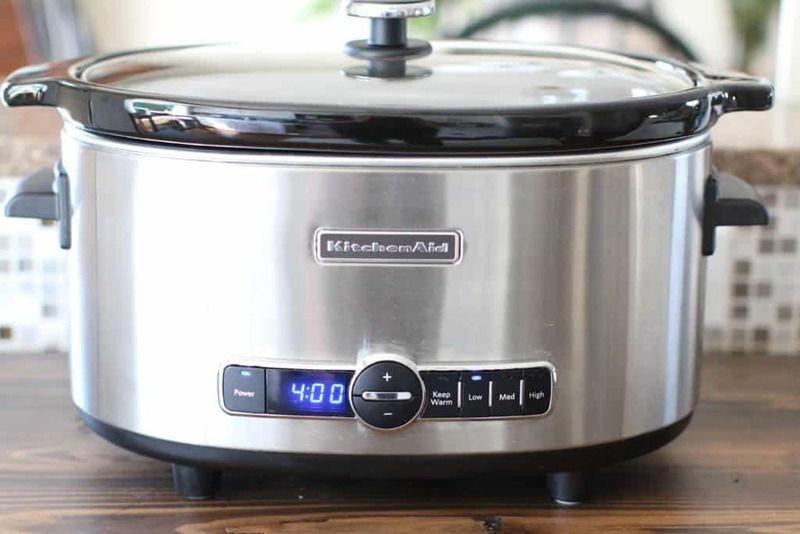 Then switch the slow cooker to the "keep warm" setting. 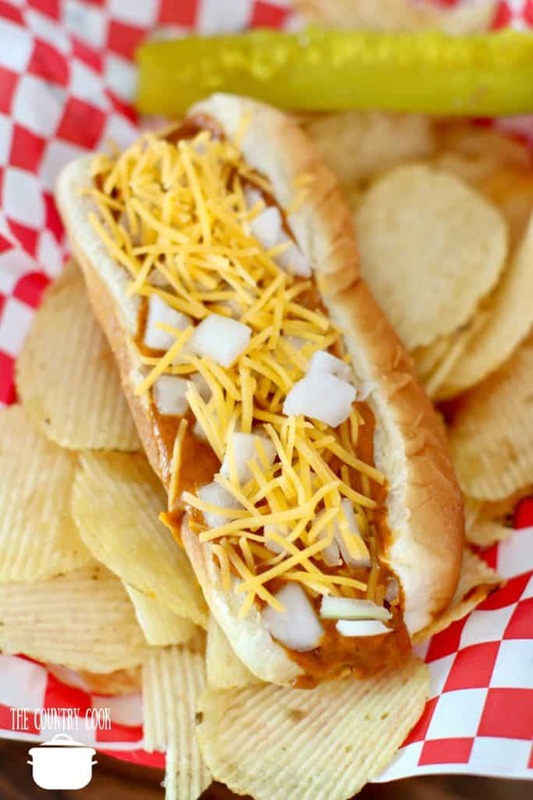 Top hot dogs with diced onions and extra cheese. If you don't like (or can't find nacho cheese sauce) just use a can of condensed cheddar cheese soup. Also, if you love beans in your hot dog chili, then use the chili with beans. 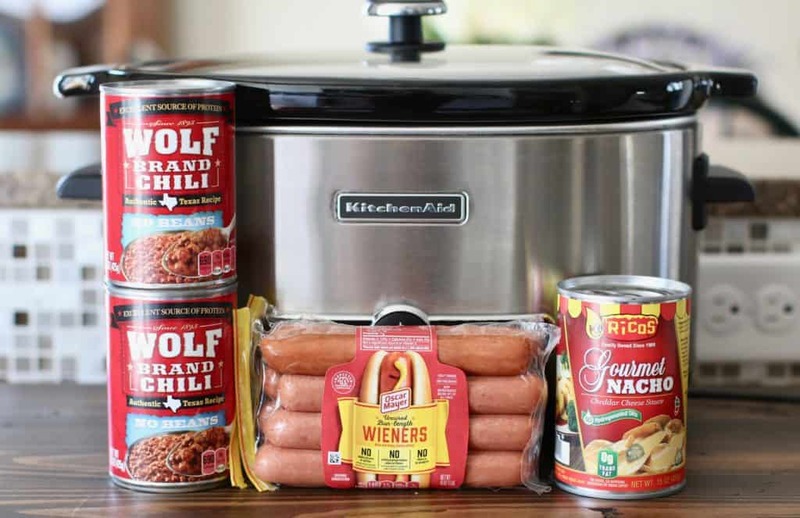 This recipe makes enough chili for more than 8 hot dogs. I just went with 8 since that is what you get in one package. 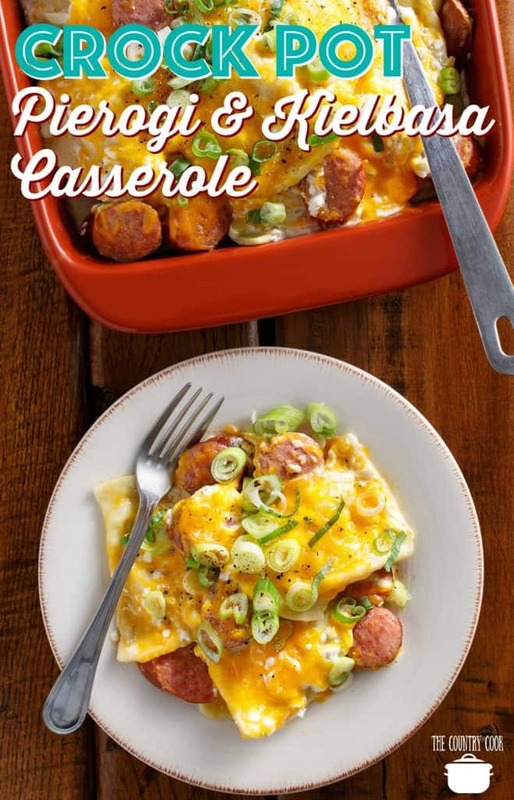 But realistically, you could add another 4 or 5 hot dogs to this recipe and have plenty. Oh, wow, Brandie! I would have never thought of this on my own! Amazing! Aren”t you the clever one as this is such a Wonderful idea. 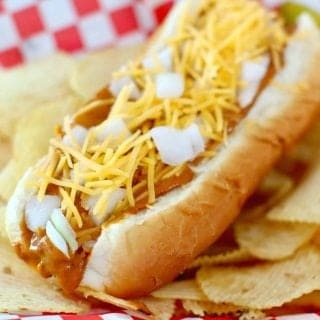 i made this and took it to work also took tortilla chips and jalepenos for nachos with the chili cheese sauce..
Every time I try to click on the picture of crockpot sphaghetti it brings me to the coney dogs recipe. Could you please fix this?